While art history comprises countless examples of exceptional art, some works have resonated more strongly than others. Spanning time, artist, and movement, these universally admired masterpieces bring audiences to museums, galleries, and historic sites across the globe. In this art guide, we explore a selection of some of the world’s most well-known works—and the cultural institutions they now call home. 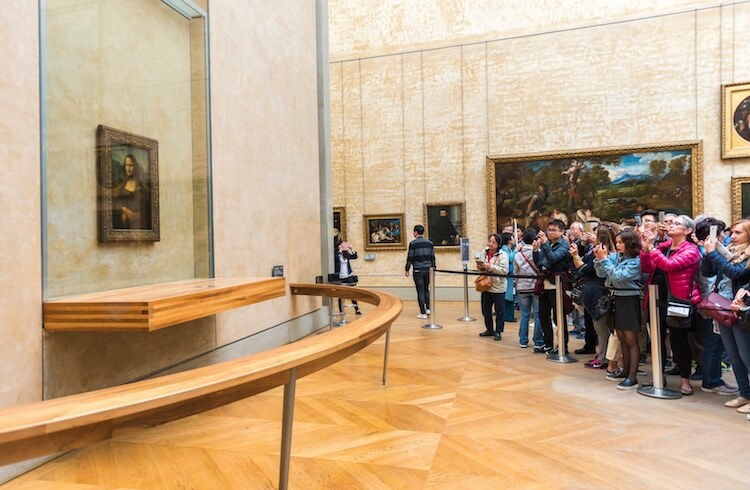 Arguably the most famous portrait in the world, the Mona Lisa (c. 1503-1506) by Italian Renaissance artist Leonardo da Vinci has been a highlight of the Louvre in Paris, France since 1797. In 1495, the Duke of Milan commissioned Leonardo da Vinci to paint The Last Supper in the Dominican convent of Santa Maria delle Grazie. 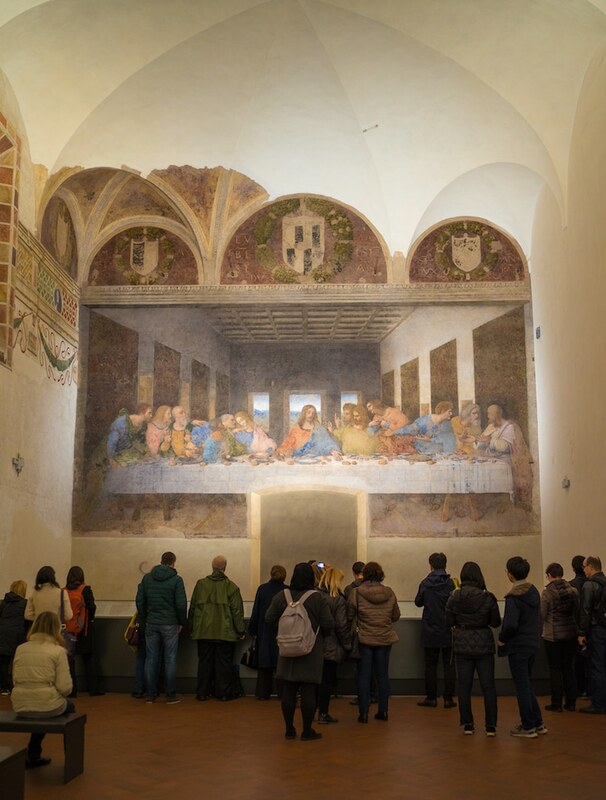 He completed the fresco in 1498, and it has remained a gem of the convent—and the city—ever since. 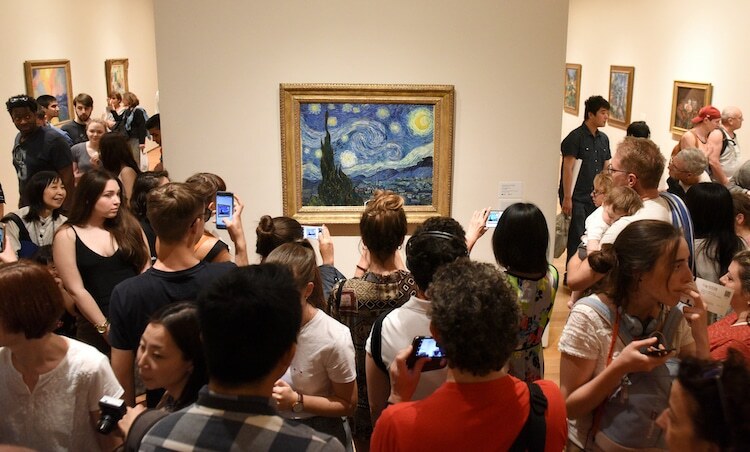 Post-Impressionist pioneer Vincent Van Gogh painted The Starry Night while in a mental health facility in the South of France. He gave the painting to his brother, Theo, whose wife sold it to a collector in 1900. Following a string of different owners, it was acquired by New York’s Museum of Modern Art in 1941. 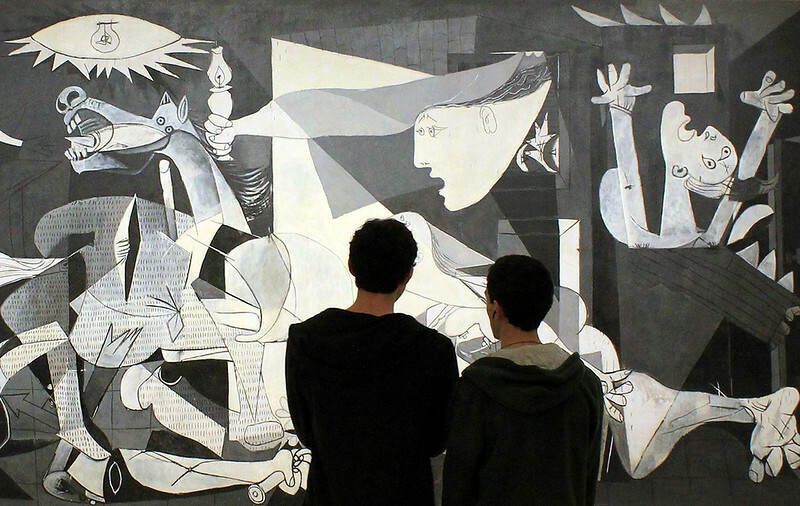 Guernica, a large-scale Cubist painting by Pablo Picasso, is one of Spain’s national treasures. It is surprising, then, to learn that the piece belonged to MoMA before ending up in Madrid’s Reina Sofía museum. Girl with a Pearl Earring (c. 1665), a tronie by Old Master Johannes Vermeer, has been housed by The Hague’s Mauritshuis since 1902. Known for its extensive collection of Dutch Golden Age paintings, this museum is the perfect fit for this masterpiece. Botticelli’s The Birth of Venus (1486) is one of the most important pieces from the Early Renaissance. 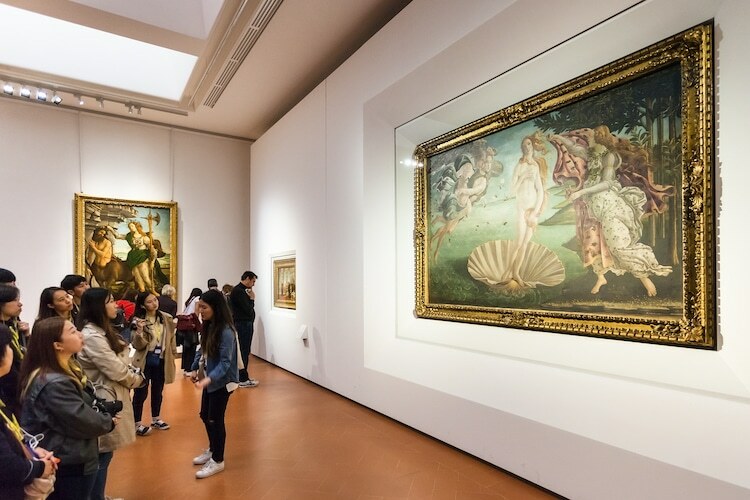 Along with Primavera, another large-scale, mythological painting by the artist, The Birth of Venus has been a staple of Florence’s famed Uffizi Gallery since the early 20th century. 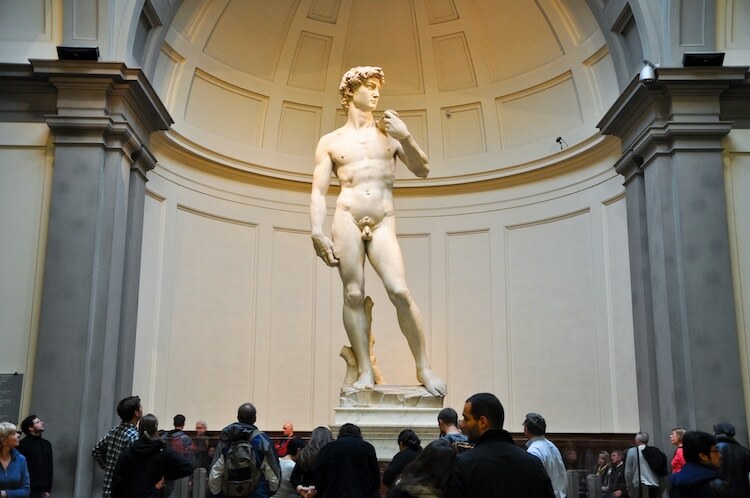 Though David (1504)—a monumental marble sculpture by Renaissance artist Michelangelo—was initially intended to be an outdoor statue, it has been housed (literally) by the Galleria dell’Accademia since 1872. 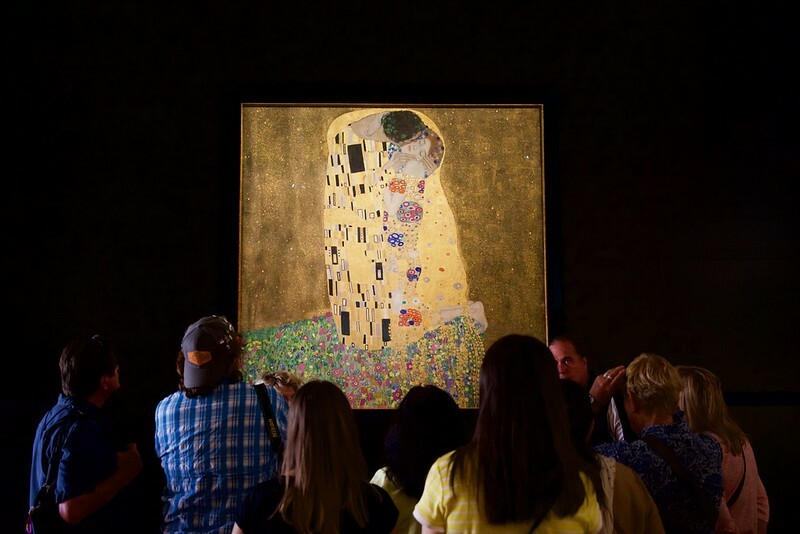 Painted at the height of the artist’s Golden Phase, Gustav Klimt’s The Kiss (1908-1909) is his most beloved creation. The dazzling painting was purchased by the Austrian government and placed in Vienna’s Österreichische Galerie Belvedere museum. 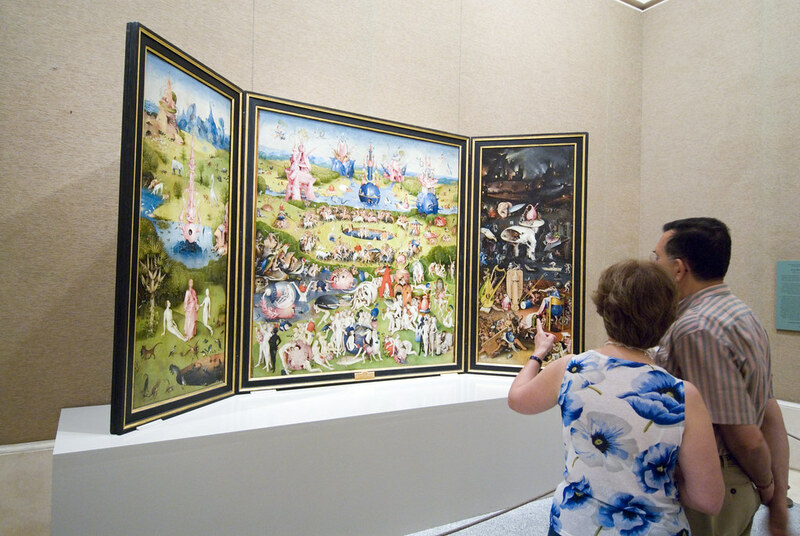 Hieronymus Bosch’s triptych, The Garden of Earthly Delights, is part of the Museo del Prado‘s permanent collection. This work from Northern Europe ended up in Spain after King Philip II bought it at auction in 1591. During the Spanish Civil War, it was moved to the Prado for safety, where it has remained ever since. 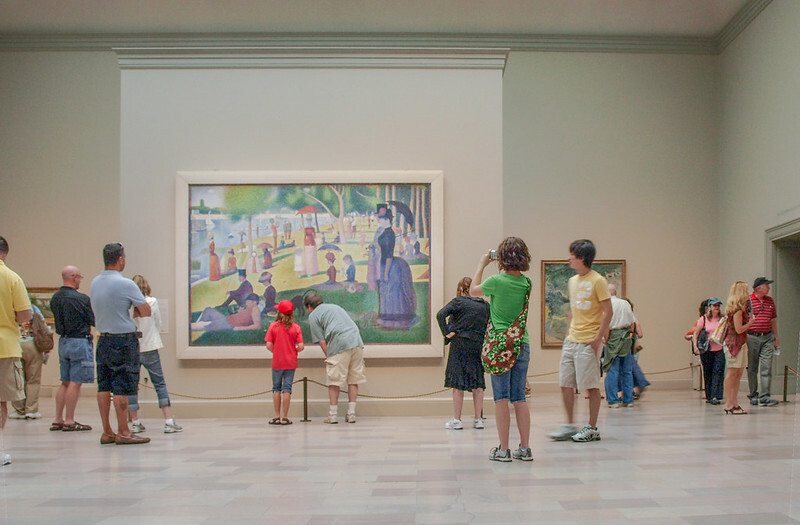 A Sunday Afternoon on the Island of La Grande Jatte was painted by Georges Seurat, a pioneer of Pointillism. Made up of millions of meticulously applied, hand-painted dots, the piece dazzles visitors to Art Institute of Chicago on a daily basis. 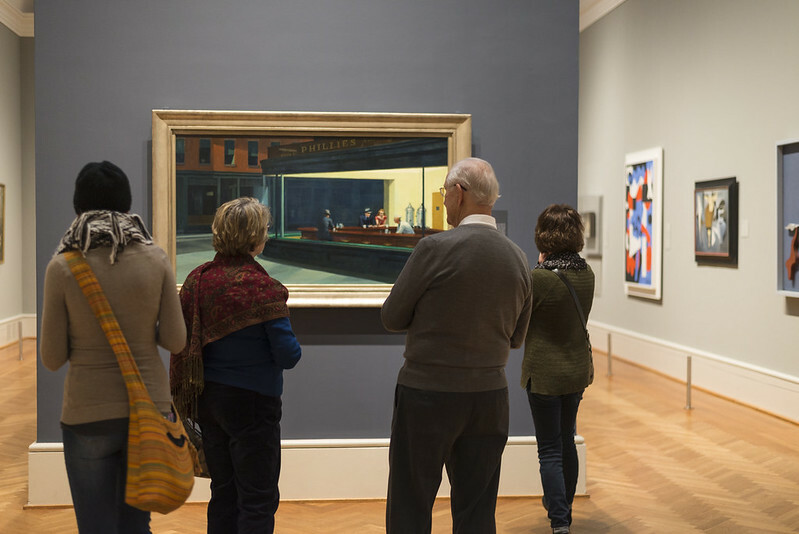 Though Edward Hopper was a lifelong New Yorker, his most famous painting, Nighthawks, calls another city home. Within months of its completion, the piece was sold to the Art Institute of Chicago, where it has remained ever since. 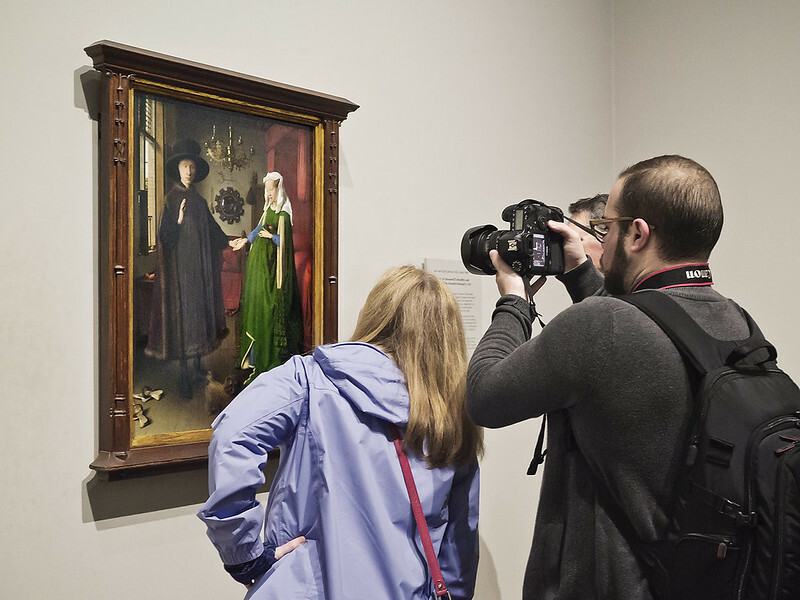 A masterpiece of the Northern Renaissance, the Arnolfini Portrait (1434) by Van Eyck is a highlight of London’s National Gallery. Featuring an astounding level of detail and a hidden self-portrait, the piece invites museum guests to take a closer look. 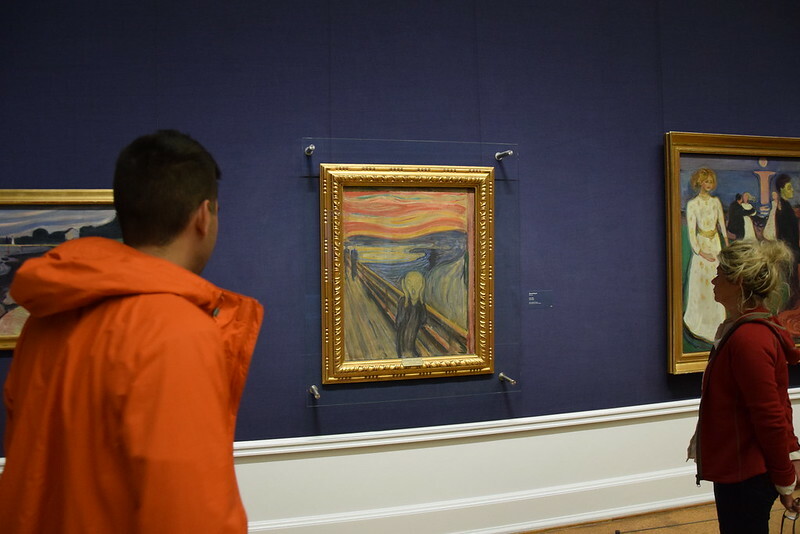 Did you know that there are four versions of Edvard Munch’s The Scream? The most recognized rendition, however, can be found in Norway’s National Gallery. 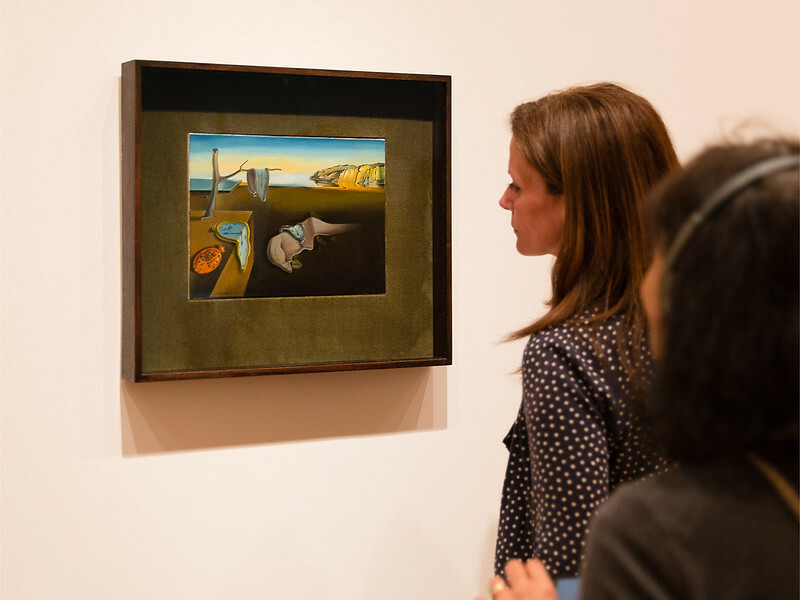 Surrealist Salvador Dalí referred to The Persistence of Memory (1931) as a “hand-painted dream photograph.” Though originally displayed in a gallery, the peculiar painting has perplexed visitors at the Museum of Modern Art since 1934. 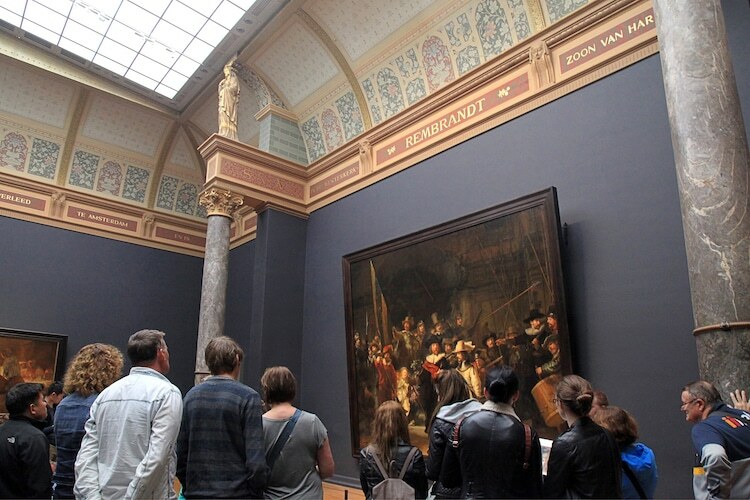 The Company of Frans Banning Cocq and Willem van Ruytenburgh, also known as The Nightwatch (1642)—a large-scale masterpiece by Rembrandt van Rijn—has had the honor of being the Rijksmuseum‘s most famous painting since 1885. 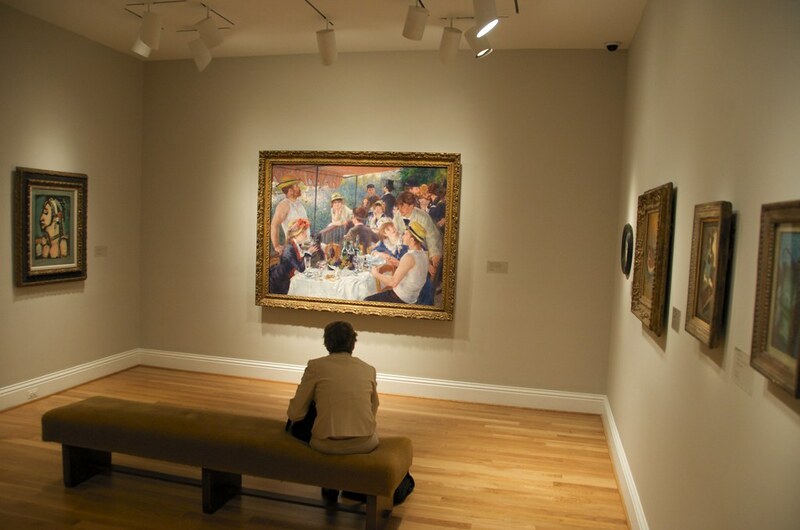 In 1923, art collector Duncan Phillips acquired The Luncheon of the Boating Party, a plein air painting by Impressionist artist Pierre-Auguste Renoir. Described by Phillips as “one of the greatest paintings in the world,” the prized piece remains on permanent display in The Phillips Collection. 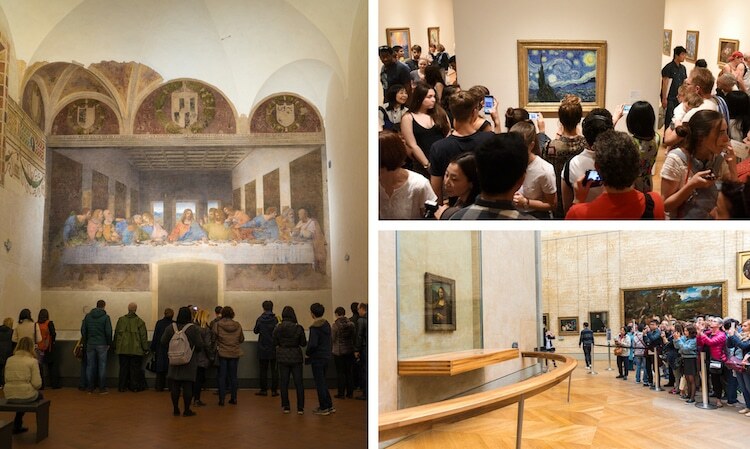 The post Here’s Where 15+ of Art History’s Most Famous Masterpieces Are Located Right Now appeared first on My Modern Met.